President Jerry John Rawlings is celebrating his 71st birthday on June 22, 2018. Jerry John Rawlings was born in Accra, Gold Coast, on June 22, 1947 to Madam Victoria Agbotui (born September 9, 1919 at Dzelukope near Keta, now the Volta Region of Ghana) and Mr James Ramsey John, a chemist from the United Kingdom, born in Castle Douglas, Scotland in 1907. He is married to Nana Konadu Agyemang Rawlings with whom he has three daughters: Zanetor Rawlings, Yaa Asantewaa Rawlings, Amina Rawlings and a son, Kimathi Rawlings. 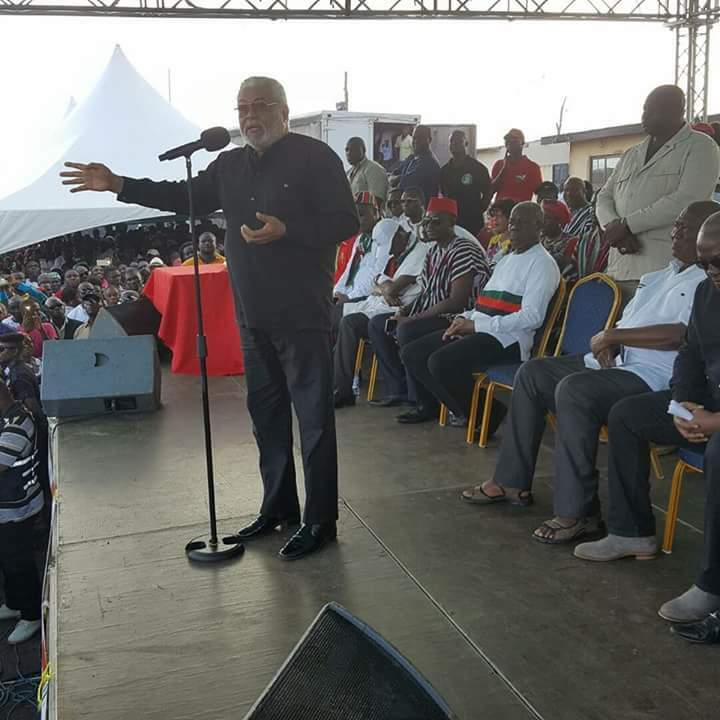 In 1992 Rawlings resigned from the Armed Forces, founded the National Democratic Congress (NDC) and became the first president of the Fourth Republic. He was re-elected in 1996 for a further four years. He was in office in 7 January 1993 – 7 January 2001.